Since tonight is yet another of Kendall Yards' famous Night Market events I find it suiting to share a mention of an exciting new place coming soon to the trendy area just north of Downtown. This new place will be a coffee place called Paper and Cup and it's being brought to Kendall Yards by the same people behind one of Spokane's favorite eateries, Chaps Diner and Bakery. Paper and Cup will be a very small coffee shop with only 500 square feet. But, despite it's size they will have and exiting menu of fresh coffee and espresso drinks in addition to pastries and similar type items. Currently tt is to open next month and will be in the same building as The Inlander in the heart of the Kendall Yards Business District. This morning at a small press conference in Airway Heights ,The Spokane Tribe took a huge step forward in the process of bringing their new casino to area. The Tribe, which has had their new casino under construction for a few months now announced a new name, new logo, new website and even the location of their new temporary offices which they will use in part to do the hiring process for the staff of their new casino. The Spokane Tribe says they examined several different name choices for the property but in the end settled on a easy to remember name that honors who they are as a Native people. From this point on the casino will be named The Spokane Tribe Casino. It is of note that the plan was to incorporate the new casino into a partnership with Hard Rock's branding and name. We will be contacting the Tribe to see if they have comment on the relationship with Hard Rock but the lack of Hard Rock in the name might be because of this being only the property first phase where it won't include the hotel or much of what is planned to eventually be included. In fact at it's opening date ( which is to happen sometime this fall ) the Spokane Tribe Casino won't be a huge place but they do plan to continue building to project out over time. The Spokane Tribe Casino will also align itself with the same players club as the Spokane Tribe's other two casino's, The Sun Club , named for the Spokane name meaning " Children of the Sun ". In addition to the announcement about the name they also un-veiled their new office complex to manage the project from until opening day. The space is actually 3 buildings that previously housed the R&R RV dealership at 13918 W. Sunset Hwy in Airway Heights. Two of the buildings there will be used as office space and the third will be a training center for the Casino employees. This site is all just a bit to the east of the actual casino's site. Also they unveiled their new logo, which I will post a picture of below this. The logo includes several elements inspired by tribal traditions and culture. The press release indicates that you will find an arrow carved out of the A in Spokane suggests both the good luck of a winning streak and the future prosperity for the tribe and the region. The two horses facing each other, one looking back at the tribe's honored past and one looking forward toward the tribe's bright future. And, the three arrow points in-between the horses also represent the three bands of the Spokane Tribe. Along with all of this news, the Spokane Tribe also announced they have officially launched a new website that is specific to the Spokane Tribe Casino, you'll find a link to that below. They did mention that the original STEP Spokane website will remain up and being update but that site does refer more to the tribe's plans for the entire site, which they are also developing around the casino at the northwest corner of US 2 ( Sunset Hwy. ) and Craig Rd. Downtown Spokane has changed over the years, even in the 10 years I've lived in the Inland Northwest lots of places have come and gone. But even as some places have opened, there is always more places people are re-questing . And, writing this blog I can tell you some people are... well... passionate about there favorite stores and restaurants! The Downtown Spokane Partnership and some other community organizations know this and earlier this year they employed Dallas based Buxton to gather data to determine what companies would make a good fit for Downtown. This is based of millions of customer transactions from around the country which Buxton uses to determine the purchasing habits and lifestyle trends of a region, in this case the Spokane region. So, what companies is Buxton recommended Downtown Spokane try and recruit? This research by no means these are surely coming to Downtown Spokane, but are what companies we want, and what companies the DSP, GSI and other local groups will put their focus on when recruiting new businesses to Downtown Spokane. This list is interesting in that there are a few that are already in other parts of Spokane. And, one we actually have heard has already been looking at real estate Downtown. Do you agree with this list? Anything you think they may have missed? A few of my Coeur d' Alene area readers have been asking about the new building rising next to Auto Zone, at Government Way & Haycraft . Well to answer your question it will be something we've seen a lot openings for recently, a new fitness center. The building which will be about 14,000 square feet, will be entirely occupied by a location of Fuel Fitness. Fuel, is a small chain of fitness centers from Montana and this will be the chain's first location to be located outside of Montana. They plan to have the Coeur d' Alene location open sometime in the early fall of this year and recently opened another location in Missoula which is now open. Fuel Fitness is a full gym that is staffed 24 hours a day offering some of the latest pieces of equipment and group fitness classes that are open to members at convenient times. They also offer on site child care services and claim to have some of the best personal trainers. The De Leon family is in growth mode with their businesses with this weekend's announcement that they will be opening a new restaurant in North Spokane. This new restaurant is to be called De Leon's BarTaco. De Leon's BarTaco will open as soon as June in the Whitworth Square shopping center at 10208 N. Division suite 110. Deleon's BarTaco will be a family friendly restaurant that serves a menu of their most popular tacos, burritos, guisados ( stewed meats ) and on the weekends they will also serve menudo and pozole. They also will have some alcoholic beverage choices. This new restaurant serves as an addition to De Leon's 2 Hispanic grocery stores which are Spokane's go to spot for Hispanic foods and merchandise. Both of their grocery stores also have in store eateries, bakeries, and of course awesome tamales! All entities of De Leon Foods is locally owned and operated by the De Leon family themselves. They also produce their own tortillas and tortilla chips which are also sold wholesale to a number of the area's restaurants. 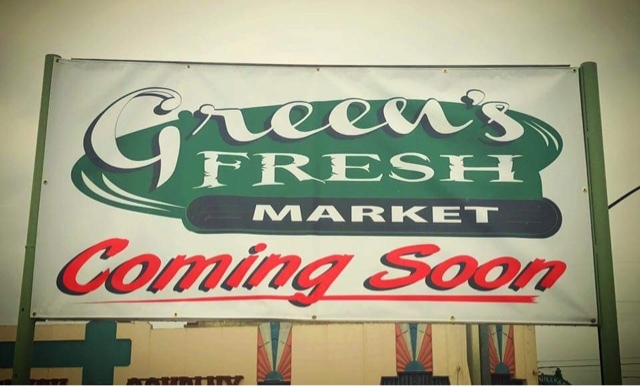 Fresh, local produce and other foods will soon be easier to find in Hillyard with the planned opening of a new store called Green's Fresh Market. Green's Fresh Market is a locally owned and operated business from owners Jack & Mary Green. They have purchased a 3500 square foot building at 4915 N. Market, at the Market St. & Olympic Ave. and hope to open the new market there next month. The business will primarily focus on fresh produce but will likely seek to add more grocery items. The even hope to add a limited selection of meats and deli items within the first few months. It will be exciting to see how this business evolves in the coming weeks and months. The former Shari's restaurant location at 1829 N. Monroe has sat empty since Shari's closed down that location about 4 years ago. For a time in 2016 it looked like the site was to be sold and demolished for a new Burger King restaurant. But shortly after that plan was proposed, the franchisee backed out due to the city's rules for pedestrian corridors that would likely have not allowed a new drive thru lane to be constructed. Fast forward to today and workers are now prepping the building, not to be torn down, but to be saved and turned into a new locally owned and operated restaurant. The owners behind Top of the Line Seafood & Burgers in Cheney are planning on moving their restaurant operations into the building and re-naming it the Monroe Street Grill. About a year ago we mentioned the purposed plans for a project called the North Gateway Center, off of Ruby north of Downtown Spokane. Many of these proposals come and go and it's sat as little more then a promotional page on SDS Realty's website all this time, until now. Now it looks like the project is moving forward with a recent city meeting and plans that show an actual tenant in a new building and plans to remodel another building that is already on the site. The site of the development is in-between Ruby & Division , bound by Ermina on the south and Montgomery on the north. The development will someday take up most of the block, except for the northwest corner where " The Bargain Lot " used auto dealership sits today. - The auto repair / tire place at the corner of Ruby & Ermina to be replaced by a 6,912 square foot stand alone Advance Auto Parts store. - A renovation to the older building that housed Brock's Gunsmithing and a barbershop. It would be leased out but no tenants mentioned for that area just yet. - The vacant lot to the north , where the shed sales center currently sits is considered a future phase with a new retail building on it and parking space in the rear of the building accessed off of Montgomery. Judging by the site plan I'm guessing that building would also be in the 6 or 7000 square foot range. A small chain of quick service Greek restaurants from Southern Idaho is coming soon to Northern Idaho. The Gyro Shack, which is based in Boise has secured a location in Coeur d' Alene and hopes to open for business here around the middle of this Summer. The Gyro Shack operates mostly as small to medium sized shack style drive up buildings but here the chain will occupy a space in the Ironwood Square shopping center facing Ironwood Dr, just east of US 95. This is the only planned Gyro Shack in the Inland Northwest however the company is actively franchising their concept and even have 2 locations being planned for Western Washington. Their other locations ( 4 total ) are in the Boise / Meridian area. The Gyro Shack promotes themselves as " Real Greek, Real Fast " about a dozen different gyro and pita sandwich choices. They offer everything from an original gyro up to less common choices like a spicy bacon avocado gyro , a Philly gyro and something called The Z. Non-meat lovers will also be satisfied with The Gyro Shack as they also offer a veggie gyro and have sides like a Greek salad. And, of course no Greek restaurant would be complete without fresh baklava. The landmark Buckhorn Inn's building at 13311 W. Sunset Hwy. in Airway Heights won't end up being empty too much longer. The Buckhorn Inn, as you may recall closed their doors at the end of 2016 after being in businesses since the 1970's . But the building that housed the restaurant and bar has been sold to the people behind Shamus's Sandwich Shoppe and they plan to open a new location of their locally owned and operated deli in the building. The new Airway Heights Shamus's location will feature identical hours and an identical menu to their other two locations. Both of the existing Shamus's locations in Spokane Valley, one being by Sprague & Havana and the other off of Pines, a bit north of Sprague. These locations will both stay in business as well. The new Airway Heights location will be the business's largest location at about 3500 square feet. It also will feature a small selection of beer's on tap. Shamus's Sandwich Shoppe promotes that they have " fast service, large portions and fair prices " . Their menu features delicious sounding sandwich choices like Rocky's Italian Stallion, Smokehouse, King of Clubs and many more. Customers can even build their own sandwiches or get soups which includes Ivar's Clam Chowder. There has been rumblings for quite sometime that a developer was planning to replace the former YWCA campus near Downtown with a huge new high rise project. We hear it mentioned occasionally, sometimes I'll get asked about it, but yet days and days go by and the YWCA buildings sit at N Lincoln & Broadway empty and waiting for someone to do something. We discovered last year that Spokane based LB Stone Development was hiring for a project manager for the development and while I don't know if that position ever did get filled, it looks like work has moved forward on the plan. We know because plans we're recently revealed along with some other documents submitted for a pre-development meeting with the City of Spokane. And, if The Falls development is built as the plans are now, this will be a game changer for the north bank of the Spokane River. While this is a HUGE step forward for The Falls it by no means construction will start tomorrow. Actually with a plan of this size I don't expect any construction this year ( I hope I'm wrong though, please prove me wrong LB Stone ) . -Two high rise towers, height and number of floors not shown but once upon a time it was to be 12 stories. Maybe still the same? - 25,000 square feet of office space. The Falls would be built in a similar kind of construction to the newly proposed mixed use buildings next to The Inlander in Kendall Yards. They would be a podium style construction built overtop of a large underground parking garage. No contractor is shown for The Falls high rise yet but we do know that design work is being done by Collins Woerman Architects of Seattle. Inland NW Business's main site is updated usually several times each week. But, a lot of you come here asking " hey, what's going in there? " to specific projects. Many of these we're posted, just it's been long enough back that they no longer appear on the main page. So, here are some links to projects you may want to know about. If you don't see what your looking for, e-mail me at inlandbusiness@yahoo.com . I may just have missed posting a link to it or maybe it's something I haven't worked into posting on the main site yet and would love to know what you want to know about! This will remain as the " featured post" from now on so you can reference it at anytime. *project will also include a small retail center which for some reason I didn't mention in the article. Watch for more on Popeyes planned location in Spokane. Yes it's coming and yes it's been mentioned on the site but not current enough to share here. I can say however it will be on N. Division on a out lot of the Sportsman's Warehouse store. Still no official word on who the commercial tenants will be. This article is about 2 years old but looks up to date as far as the plan goes. Just legal issues have stalled this project more than once. Looks to actually be happening now though. The opening date mentioned in the article is clearly wrong but it should open sometime soon and I'll re-post about this project then. The opening date has been pushed back to the fall of this year but still coming. Jensen Byrd Warehouse to become the "Jensen Byrd District" shops, restaurants, offices,etc.. Still waiting for this development to get started, no news on it to recently. Kendall Yards is finally getting a grocery store, now called My Fresh Basket. We are learning that, Halletts Chocolates , a North Spokane staple and maker of delicious sweet treats is working on a expanding and opening an all new store in Downtown Spokane. Halletts recently filed for a business license to open a place called " Halletts Chocolates & Coffee " at 1025 W. 1st Ave. This space appears to be the former home of Vintage Angel which is on ground floor of the New Madison Hotel building. We've reached out to Halletts and they acknowledge they are planning to open a location there, but say they don't have an opening date for it just yet so I will likely be updating this posting at some point, keep checking in. Halletts Chocolate also has there main " factory store " in a shopping center at the corner of Nevada & Lyons at 6704 N. Nevada. This location will stay in business as the Downtown location will be their second store. Halletts Chocolates offers many, many different chocolate choices from small servings up to boxes that are perfect for gifts. The company is locally owned and operated and they have been in business for around 30 years. Local business owner Jason McSteen like to tell the story about how in 2012 he walked in to the Union Gospel Mission with nothing to his name but 16 Cents, 3 Shoes & 5 Socks . So much so that a few years later, after turning his life around, Jason McSteen now operates a fast growing small chain of furniture stores in Spokane called none other then 16 Cents, 3 Shoes & 5 Socks. Which the business itself even has been a success story as it was originally started as just a mattress shop in a garage. Today that once tiny business made the announcement that they are growing once more. 16 Cents announced that they will be opening a new third location at 1233 N. Division ( Division & Sharp ) in a building that has sat vacant for the last several years, except for a couple of seasonal stints as Spirit Halloween stores ( last permanent use was a Mattress Outlet if I recall ). The new store will occupy the entire 22,000+ square foot building and will be a full furniture store, not just mattresses, but everything for most any room of your home. The new 16 Cents location is actually already open for business now and they already have filled a good chunk of the space with truckloads of furniture with more to come. While they are now open, the business plans to do some remodeling to the space and will convert the back room area of the building into a distribution center to also serve 16 Cents' two other locations. The two other locations of 16 Cents, 3 Shoes & 5 Socks will also remain open for business as usual. Those stores can be found at 6821 N. Division and 2006 N. Ash. The stores also pride themselves on offering credit for furniture purchases, at zero down in some cases, even to people with less then perfect credit. Indaba Coffee Roasters, a seven year old coffee business that's locally owned and operated has made a big announcement. Indaba who already operates 2 coffee shops will open a new, slightly different third location in Kendall Yards. We're not sure of exactly which space Indaba will occupy at the Kendall Yards development but they do say they it should be open for business sometime in the fall. 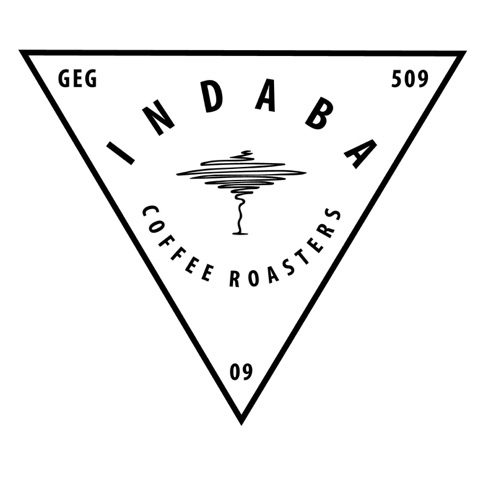 The new Indaba will be considered a " roastery café & donut shop ". Indaba Coffee recently extended their hours and added beer, wine and hard cider to their Downtown location. While coffee's from Indaba are available at a few spots around the area their own branded coffee shops can be found at 1425 W. Broadway and 210 N. Howard . We'll have more on the new Kendall Yards Indaba space in the future. We have learned the Bonsai Bistro, a well known Pan-Asian restaurant in Downtown Coeur d' Alene has closed it's doors effective immediately. The restaurant featured an indoor Koi pond on lower level and a sushi bar near the entrance, it has also won a few awards during it's years of operation. Bonsai Bistro was owned and operated by the Hagadone Corporation who is also the owner of the Coeur d' Alene Resort, several other restaurants and other ventures around CdA. Hagadone Corporation gives no exact reason for the other then that felt the closure was in their best interest. Employees of Bonsai Bistro that would like to stay on are being offered positions with the other Hagadone businesses. Hagadone Corporation also says they have no immediate plans for the building which was once a call center at 101 E. Sherman Ave. . Even though there are no plans announced the rumors have already started to swirl about high rise projects that Hagadone might build at the site. This is likely because Hagadone backed out of a large high rise expansion of the Coeur d' Alene Resort last year after some complained of it's look,etc... . But, nothing has been officially announced and likely won't be for a while. Why do I post share more on the Facebook page then the main site? because sometime I don't have all the details to do a post and it's easier and faster to keep you, my readers, up to date on projects / businesses I've already mentioned. So, if you haven't already please go like our page. Cosmic Cowboy Grill in Coeur d' Alene has set their official opening date. Looks like they should be open on Saturday May 6th. They can be found in the Appleway Square shopping center off of US 95, near I-90 in CdA. We actually did a post about them awhile back, find it be searching above if your on the desktop version of the site. Lancaster Market and their attached San Francisco Sourdough off of US 95 in Hayden as actually been open for a few weeks now but will host an official grand opening celebration on May 13th. Northwest Pizza Company has finally now opened their new location in Spokane Valley. It can be found at 10604 E. 16th Ave. just west of University Rd. Kiss & Make Up Beauty Boutique has announced they will relocate to the Garland District. The business which does a varity of salon services will lease the former Amplified Wax Recording Studio space adjacent to the Garland Theather at 920 W. Garland Ave.
Chaps Diner & Bakery already a well known local restaurant in expanding out and will open a small bakery inside the same building as The Inlander on Summit Pkwy in Kendall Yards. Vertical Options Elevator has leased the former Habitat for Humanity building at 732 N. Napa and plans to be move their offices / warehouse there soon. Local escape room business, Escape has escaped the City of Spokane with a new location now open in Spokane Valley. The Spokane Valley Escape is just west of the Spokane Valley Mall at 12928 E. Indiana Ave.
GESA Credit Union has opened a new a branch location in Spokane Valley. It can be found at 509 N. Sullivan Rd. Carpet Barn has opened a new flooring luqidation center at 6325 E. Sprague in Spokane Valley. Simple Machine Bicycle Service has opened for business in the Garland District at 820 W. Garland Ave.
Vanity Nails & Spa has opened at 306 N. Pines Rd. in Spokane Valley. Spencer's Antiques an antique mall that has spent the last several years in a building off of Division is moving to a new place at 3104 E. Sprague. Liberty Lake Juice Company is a new smoothie / healthy option establishment now open at 1334 N. Liberty Lake Rd. in , of course , Liberty Lake. Pinky's Pooch Parlor which is a new grooming salon with a developing retail area has opened for business in Downtown Coeur d' Alene at 202 N. 4th Ave.
Hydrangea Thrift Store, Etc. has joined to growing North Monroe District with their new store now open at 2315 N. Monroe. In River Park Square there has been some changes in the 3rd floor food court area. Hole Shot Pizza & Brew has gone out of business but a new place called Classic Burger has opened on the other end next to Miso Asian. Express Employment Professionals has moved it's Kootenai County offices to the Crossroads at Coeur d' Alene shopping center. There new address is 2834 N. Ramsey Rd. Suite 104. Television crews have been spotted around Spokane filming for a popular show on the Cooking Channel called Cheap Eats. The plot of the show surrounds host Ali Kahn ( blogger behind the Bang for your Burger Buck blog ) traveling to cities and trying to eat breakfast, lunch, dinner and a snack all for under $35 and all in 12 hours. We're told the Cheap Eats Spokane episode will air during the show's third season ( episode #6 ) with no air date available just yet, although it will be about 4 months from now. Other cities Cheap Eats have visited include Louisville, Salt Lake City, Miami, Bozeman and several more. We're still working on pin pointing exactly where the TV show will shoot here in Spokane but know they have already been to Mary Lou's Milk Bottle in the Garland District and appear to be planning to film / have filmed at Frank's Diner Downtown, both of which are excellent choices. We'll likely up date this post or create a new one when we know more and have the air date. It's opening day for the newest library in the Spokane County Library system. But this one isn't quite like the other 10 libraries in the network as this one is a "boutique library" ,a sort of express format of a traditional library and is located inside the Spokane Valley Mall. The new library goes by the name The Bookend and occupies a 2200 square foot space on the second floor of the mall, nearby Macy's. It is to employ about 6. Today is the soft opening for The Bookend and an actual grand opening will be held around the middle of June. Patrons of The Bookend will find this branch smaller then the others but still packed with many of the services that draw people into those other branches. The Bookend will stock some books, CD's and DVD's available for loan, computer workstations and a children's area with books and reading spaces . The Library District decided to open this branch based largely on the success of other libraries around the country moving branches into shopping centers. The Spokane County Library District has been hoping to build a new Valley branch for sometime and they say they still plan to as this location is a smaller express branch. Most of the talk surrounding a new full service library has had it being built across from the new Spokane Valley City Hall off of Sprague but a recent article in the Journal of Business indicates a new branch might one day be built on Sullivan Rd. Either way there are no immediate plans just yet and we will be watching for more. Living Water Lawn & Tree Care has already grown substantially since their beginnings in the early 90's inside a 2 car garage in Hillyard . Today Living Water is of one the largest landscaping businesses in Spokane, and they have recently announced plans to begin construction on a new 20,000 square foot facility in North Spokane that will allow them to keep moving forward. The new building will offer both office space and work space for the company and will be located at 8227 N. Regal, not far from the new US 395 freeway. Living Water intends to move into this new building sometime in early 2018 after construction is done. The building will be constructed by general contractor Ramey Construction with design work done by Mercier Architectural Planning, once complete the building is expect to cost between $1.8 and $2 million dollars. This new building is also big news for Living Water Lawn & Tree Care new larger space will allow their two sister companies to consolidate so everyone will be under one roof. Those two companies are Living Water Landscape Maintenance and Living Water Pest Control. Together the Living Water companies employ over 40 but they do intent to hire more.